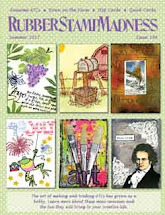 If you have problems with your hands due to the amount of pressure it takes to cut through rubber and cling mount with scissors, this method of mounting your rubber stamps may be what you are looking for. 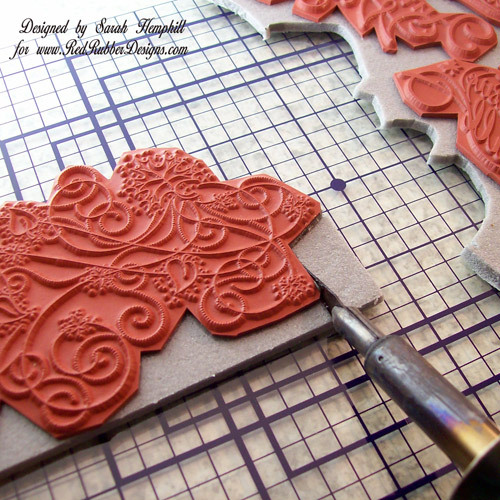 Your first step is to closely trim your rubber stamps using your sharp scissors. The hot knife does not heat to a high enough temperature to cut through quality rubber stamps. 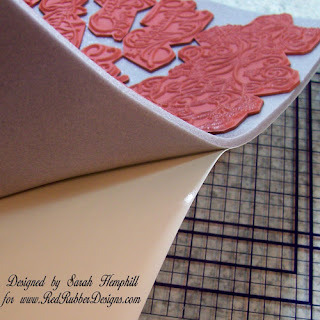 Peel off the paper from the sticky side of the cling mount and place your trimmed rubber stamps on the cling. 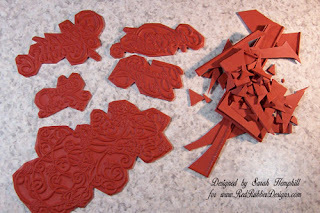 Remove the paper from the cling side of the cling mount. 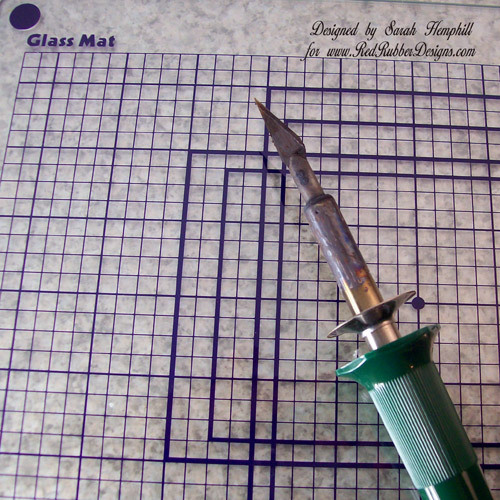 I use a heat proof glass mat and an inexpensive hot knife. Both of these items are available at your major craft and hobby stores. 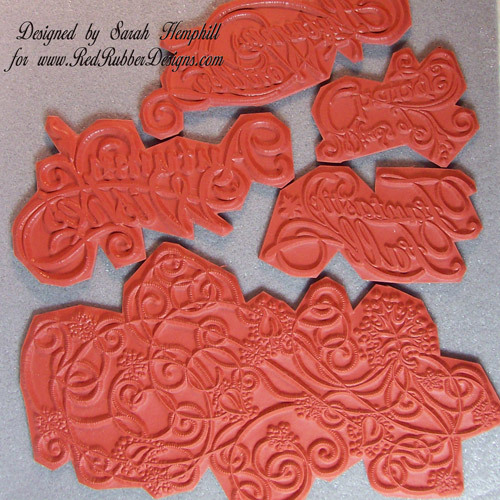 After heating your knife, cut the excess cling mount from around each of your rubber stamps. You will see that it is as easy as cutting through butter. 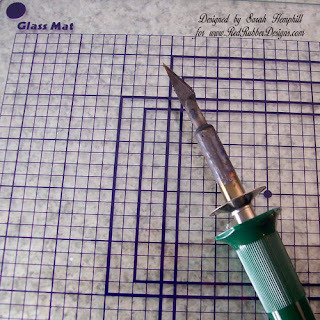 The same rule applies to cutting with the hot knife as cutting with scissors. You need to be careful not to undercut your stamps. Also remember that the knife is very hot and will burn your fingers. Place your stamp on an acrylic block and you are ready to create. Stamp set used in this tutorial is Autumn Swirls from Red Rubber Designs. 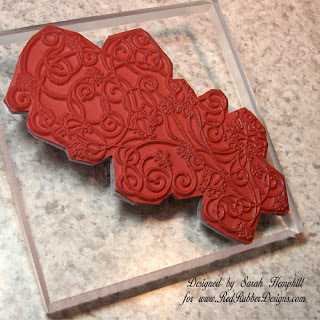 Download a FREE PDF of this Tutorial in the Red Rubber Designs Store! That is really neat. I've never done it that way, but I love mine cut close, so that might be worth a try. Thanks for the excellent tutorial. OOh wow! Never thought of that either but such a good idea. Thank you so much for sharing. This is the ONLY way I trim rubber and mount to cling. However, I do like to index the cling (especially with sentiments) so there are a couple of steps I do before adhering the trimmed rubber to the trimmed cling. After the rubber is trimmed, I paint a little of the Alene's Tack It Over & Over on the back of the trimmed rubber and let it dry (I'm usually doing 5 to 6 stamp sets, so I'll do this step and let the stamp backs dry for a couple of hours or at least a minimum of 15 minutes - I'm only doing this step so it's easier to temporarily adhere the trimmed rubber to the protective covering of the cling and then temporarily to the acrylic block). Next I position the tacky rubber onto the protective covering of the STICKY side of the cling cushion (NOT the cling side). I follow Sarah's step to use the hot knife to trim the cushion to match the trimmed stamps. Next I pop out one of the trimmed rubber/cushion pairs and carefully peel away the trimmed rubber and place it on an acrylic block. And now I peel away the protective covering from the cling side and leave the cling side face up. Using Stazon Jet Black OR Palette Noir, it's a simple matter to stamp the image onto the cling side (i.e. 'indexing') and then quickly clean off the ink from the rubber. 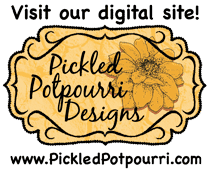 Last step is to peel off the rubber from the acrylic block, peel off the protective covering from the sticky side of the cling and match up the trimmed shapes. I usually let the indexed side dry face up for a couple of hours.